I’m hooked on this Danish import. Rita is a 40-something teacher and single mother who is as outspoken as she is smart. Her unconventional wisdom juxtaposed against a personal life in shambles makes for compelling television. This series highlights a woman devoted not only to her own children, but the children she teaches, bringing to the forefront subjects not easily tackled yet handled with ease and grace in this one-hour drama. Fortunately, all 3 seasons are available for binge worthy watching. 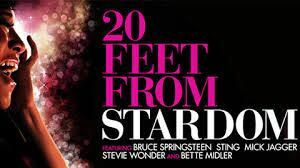 This Oscar winning film looks at the unsung voices behind some of the biggest superstar legends. From Sting to Springsteen and Michael Jackson to Jagger – they’ve all been backed up by voices you’ve heard but never really seen. This bittersweet, touching and very dynamic documentary takes you into the lives and careers of the women who helped shape popular music. My husband is a fan of Henning Mankell, the Swedish author whose Wallander novels have been produced for television in Sweden and the BBC. I haven’t read the books or watched the series – not really my cuppa – a bit too depressing for me. I’m in my “tra-la-la” phase. Looking for happy endings and all that. 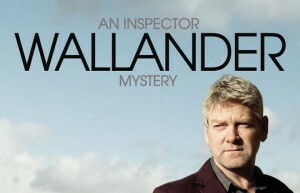 In any event, the BBC’s version stars Kenneth Branagh who took home the BAFTA award for his portrayal of the brooding inspector Wallander. I’m told this is not your usual crime/mystery fare. This one is well written, well acted and I’m told totally binge worthy.